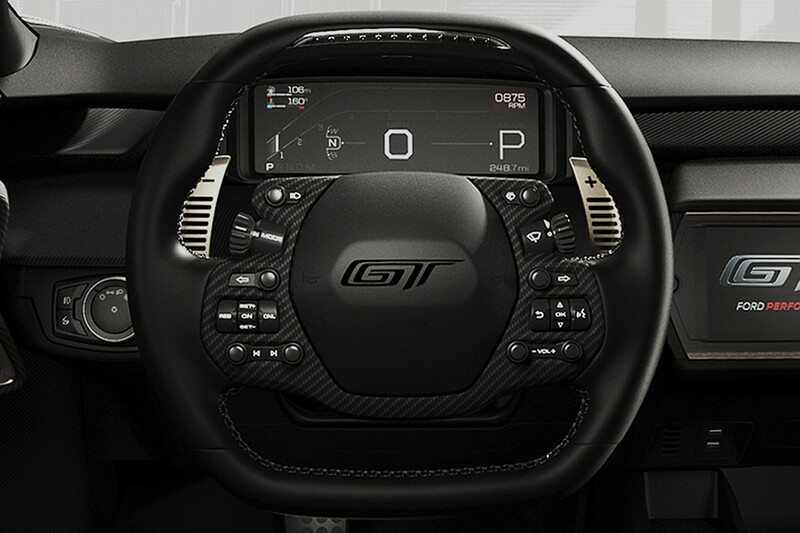 The unique, space-age design of the steering wheel in the all-new Ford GT supercar wasn’t influenced by the sorts of things you’d expect: the wheel in an F1 race car, for example, or the controls in a fighter jet’s cockpit. Rather, Ford Performance Director Dave Wozniak revealed in a recent interview that the Ford GT’s till was inspired by a children’s toy: Hasbro’s Bop It Extreme™, released in 1998. Of course, one might argue that the price of failure while playing Bop It Extreme™ – being mocked by a prerecorded message – is far less than that while driving the 2017 Ford GT. The supercar costs approximately $450,000 in the United States, while the value of the human lives within is literally incalculable.